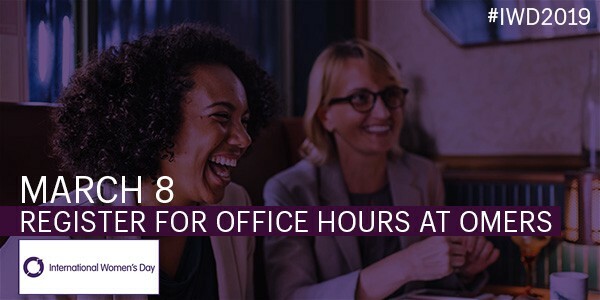 On March 8, International Women’s Day, OMERS Ventures will once again host OV Office Hours open to any founder, working professional, entrepreneur or student, looking to connect with a member of our Investment or Acceleration Team. Last month, OMERS Ventures associate Mark Goad published a two-part report on the global depressed population, the role of technology in causing depression, and a VC’s investment framework for solutions. We are thrilled to share that Anthony Mouchantaf has joined the OV investment team headquartered in our Toronto, Canada office. Prior to joining OV, Anthony was Co-Founder and President of Rthm Technologies, a mobile health and consumer genetics company. Rthm raised several rounds of venture and institutional capital, including strategic funding from Shoppers Drug Mart and George Weston Ltd. Rthm’s products garnered millions of downloads worldwide with tens of thousands of paying subscribers, before being acquired by a publicly-traded company. More on Anthony, his path to VC, and his investment areas of interest in this short interview. APRIL 25 // TORONTO: Registration is open for the 2019 Growth Marketing Conference in Toronto. OMERS Ventures is proud to present this event alongside MaRS, Traction, Boost.ai and Launch Academy. The one-day event is perfect for high-growth startup founders, product & growth marketers and digital agency professionals. Topics include acquisition and retention; organic and performance marketing; B2B and enterprise growth. Early-bird tickets available here. March 1 // OTTAWA // Fundraising & Dilution Planning Panel — Jim is participating alongside Hello Ventures and Norton Rose Fulbright. Register here for free! March 8 // TORONTO // BDO Pitch Day — Mark is participating as a judge. March 14 // TORONTO // Venture Out — Soha will be participating on the investor panel. Tickets are available here. March 21 // SEATTLE // M12 Summit — Brian will be there!